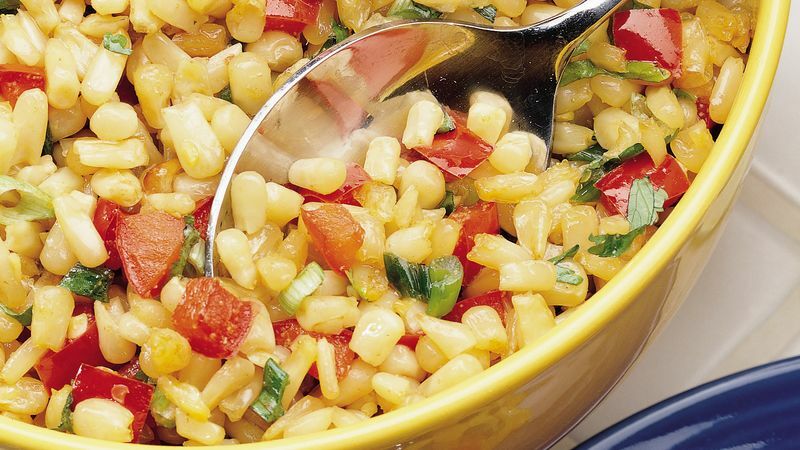 In medium bowl, combine corn, bell pepper and oil; toss to coat. Spread in ungreased 15x10x1-inch baking pan or on cookie sheet. Broil 4 to 6 inches from heat for 9 to 14 minutes or until corn is light golden brown, stirring once or twice. Place corn mixture in same bowl. Add onions, sugar, cumin, salt and lime juice; mix well. Sprinkle with cilantro. Serve immediately.